Our team was brought in when construction documents were 50% complete and a project management team with City staff and other consultants already in place. We were up against a tight deadline and materials and construction costs were escalating. In addition, events were booked for an announced opening date. Because of our leadership and management, this complex project opened on time and returned $7 million of the Construction Contingency to the Owner. A 1,500,000 sq. 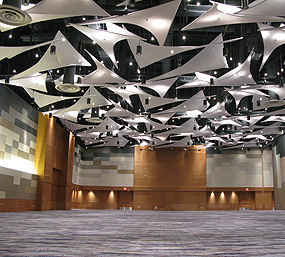 ft., four level convention center with Exhibition, Meeting Rooms, Grand Ballroom, Catering Kitchen, Food Court, and full complement of Front-of-House and Back-of-House Amenities. This expansion of the existing downtown destination required coordination with events and adjacent venue activities. 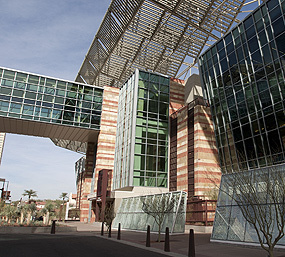 Pfocus provided Program Management services on behalf of the City of Phoenix, which included strategic Project Team leadership and day-to-day Project management. Pfocus was integrated into the project near the completion of Construction Documents to ensure delivery of the Project aesthetic, function, quality, budget, and schedule goals. As Project Director, Rick Pfannenstiel led the City's Management Team comprised of both City staff and another Project Management Firm to actively facilitate prudent and timely decisions among the City, Convention Center, Architect/Engineer, and Construction Manager at Risk. This project was challenged by an aggressive construction schedule and construction cost escalation. 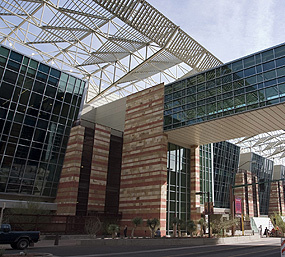 The Phoenix Convention Center operates with bookings years in advance with significant damages for cancellations. At the time, an over-heated construction market escalated construction costs across the board. 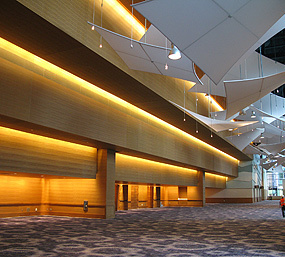 Our approach facilitated the development, analysis, and progress of a comprehensive construction schedule which enabled the Convention Center to host its well-advertised major event. By creatively packaging the project, we met both the schedule and budget goals. The Project was successfully delivered without claims and the Owner received approximately $7 million from Construction Contingency. Populus (formerly HOK Sport Venue Event) Click Here.